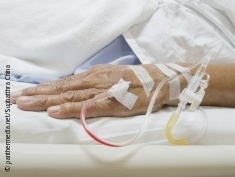 Patients admitted to hospital at the weekend are more likely to be sicker and have a higher risk of death, compared with those admitted during the week, finds an analysis published in The BMJ. The analysis was carried out as a collaboration between University Hospital Birmingham NHS Foundation Trusts and University College London, and included Sir Bruce Keogh, National Medical Director of NHS England. It examined the effect of hospital admission day on death rates across NHS England hospitals for 2013-2014. The results confirm findings from an analysis they undertook for 2009-2010. In the latest analysis, the authors found that around 11,000 more people die each year within 30 days of admission to hospital on Friday, Saturday, Sunday, or Monday compared with other days of the week (Tuesday, Wednesday, Thursday). This suggests a generalized „weekend effect” which can be partly explained by the reduced support services that start from late Friday through the weekend, leading to disruption on Monday morning, say the authors. Patients already in hospital over the weekend do not have an increased risk of death. These results remained the same even when taking into account the severity of illness. They also looked at patient characteristics, length of hospital stay, and time to death. An average of 2.7 million patients was admitted to hospital on each weekday, while an average of 1.2 million patients was admitted on a Saturday and 1 million patients admitted on a Sunday. Saturday and Sunday admissions were more likely to be emergencies, 50 percent and 65 percent respectively, than on weekdays (29 percent) and length of stay was also higher for patients admitted on a Saturday and Sunday. A higher proportion of patients admitted on a Saturday and Sunday had diagnoses that placed them in the highest risk of death category, 24.6 percent and 29.2 percent respectively, compared with less than 20 percent of weekday admissions. The debate on seven day working was reignited following health secretary Jeremy Hunt’s recent call for hospital doctors to work at weekends to improve quality of care and reduce deaths. But an accompanying feature article by Helen Crump at the Nuffield Trust says it is not clear how or to what extent investment in seven day services will reduce weekend deaths, and that the costs may outweigh any benefits. Seven day working has also been a central part of negotiations between the government and doctors about proposed changes to the standard contract for NHS consultants. Hunt announced that the government would remove a clause in the contract that allowed doctors to opt out of non-emergency work at weekends. But figures obtained from freedom of information requests by BMJ Careers show that just 1 percent of consultants have opted out of non-emergency weekend work.